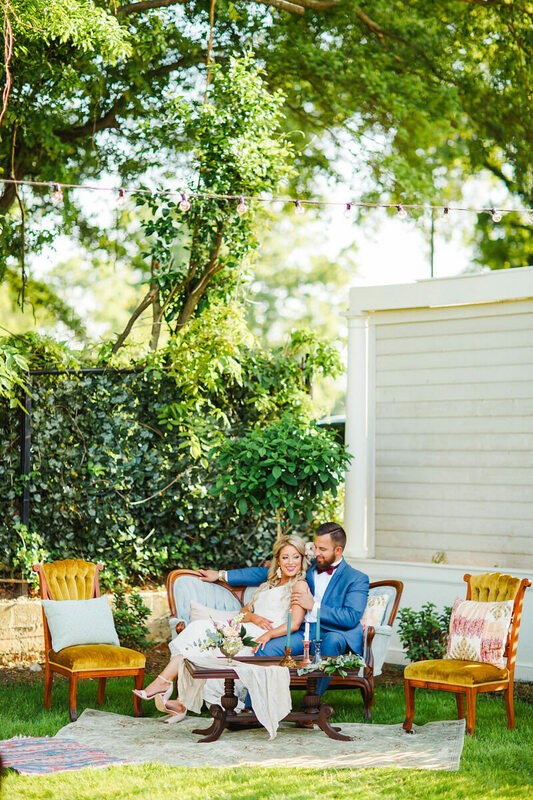 From the photographer: We designed this Boho shoot with Separk Mansion's beautiful new event lawn in mind. Separk Mansion is a gorgeous historic mansion in Gastonia, NC, about 20 minutes from Uptown Charlotte. 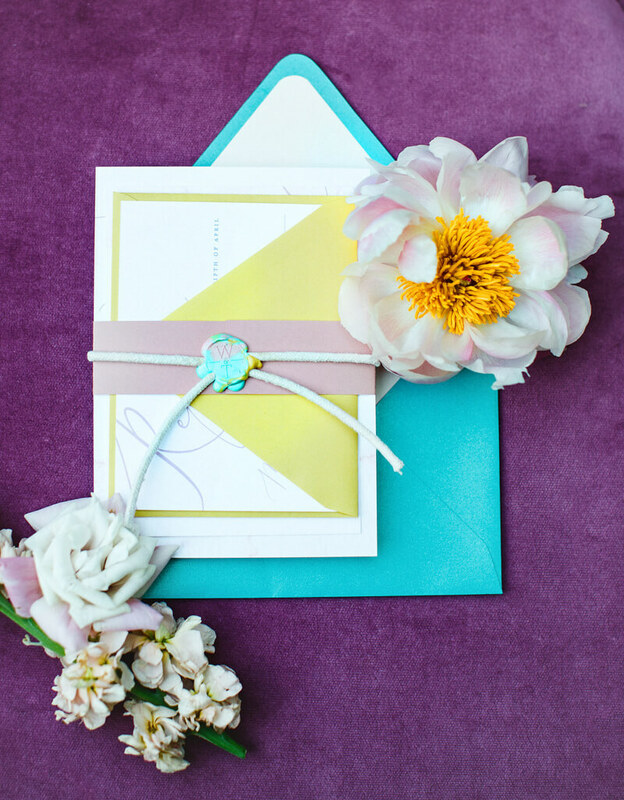 When we saw Separk's lush green lawn, we were instantly inspired! 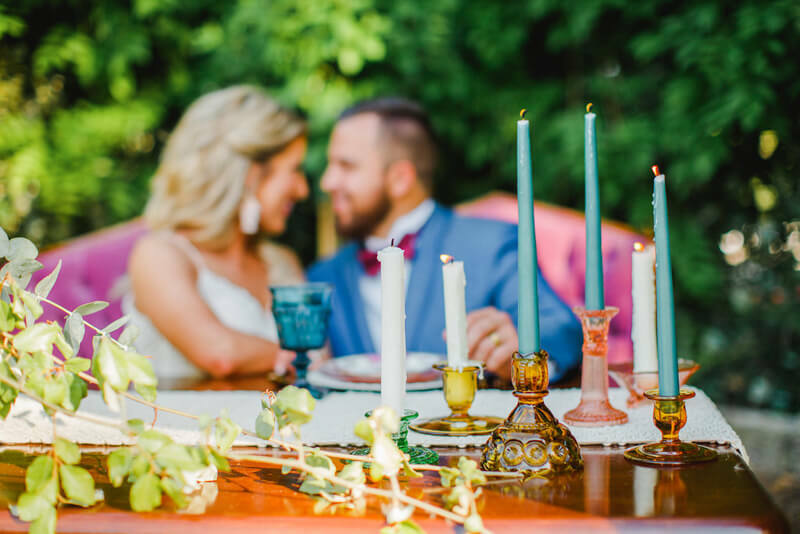 We started with a pampas grass ring as the ceremony backdrop, and that was the focal point and design inspiration for the bohemian aesthetic. 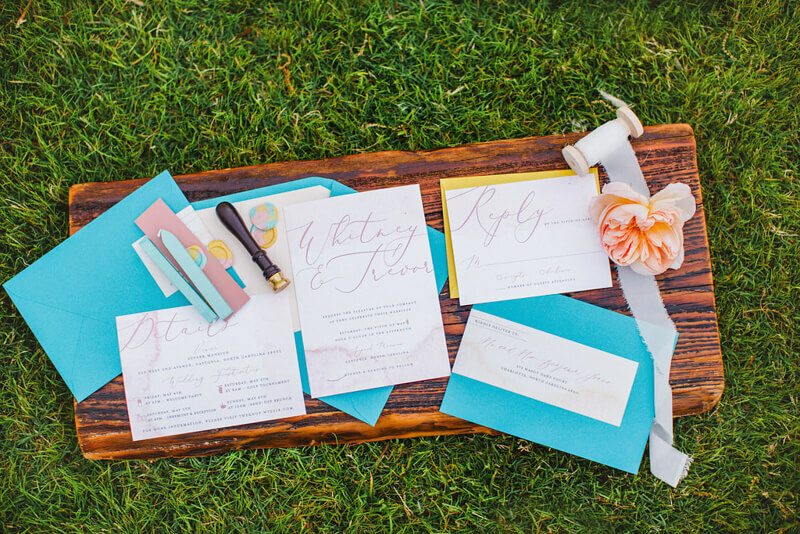 We shot this in May, and wanted beautiful spring pastels and rich colors to contrast against the vibrant green lawn. 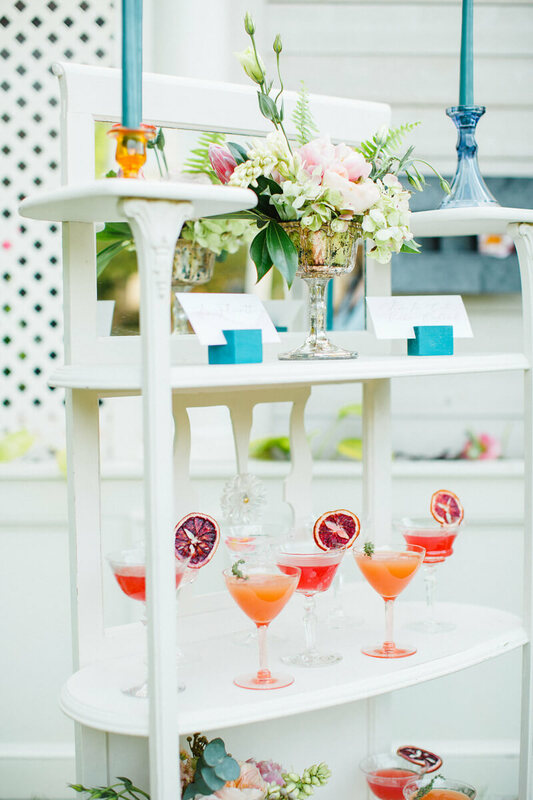 Colorful vintage furniture rentals from Evermore Event Rentals and lush florals from C Lux featuring protea, garden roses and peonies completed the look. The flowers were absolutely breathtaking. Recently married real life couple Emily and Zach were the perfect models for this shoot. They were married at Separk Mansion in late 2017, but it unfortunately rained and they weren't able to get many outdoor photos. We loved that we were able to give them another chance for photos with better weather! 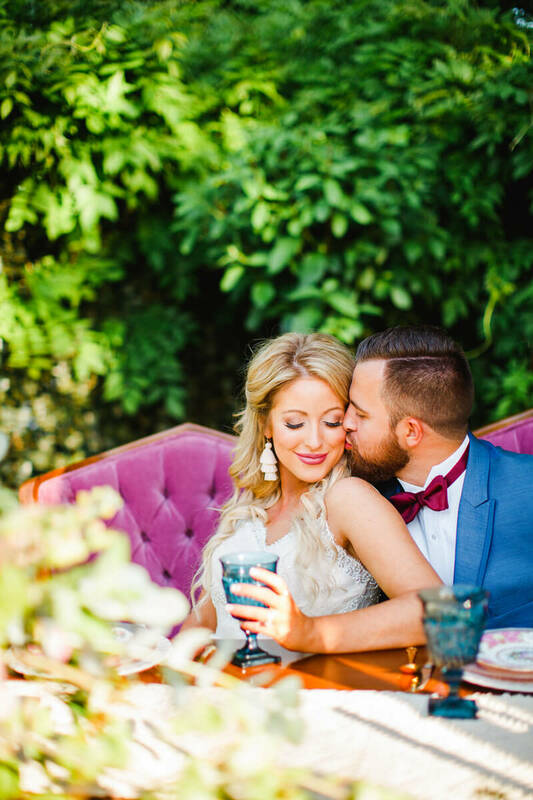 With her gorgeous blonde hair and his blue tuxedo, they made for the ideal boho couple and their adorable chemistry was evident as soon as we started shooting. 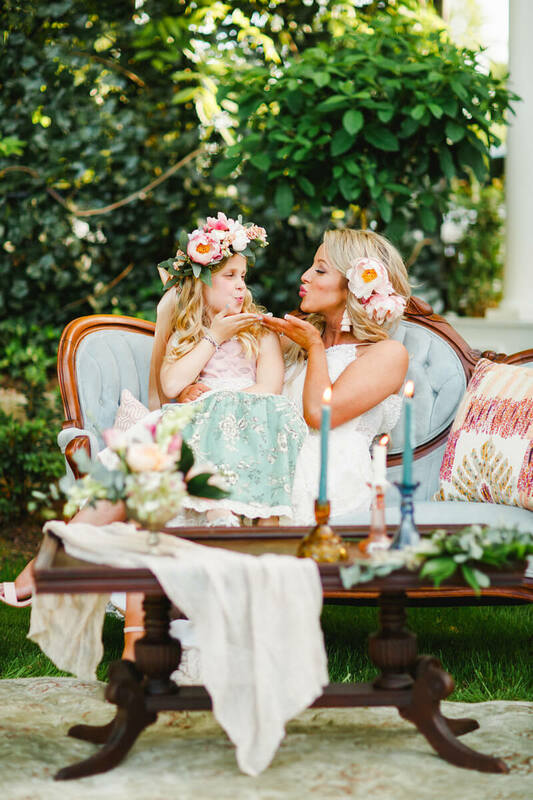 An adorable flower girl complete with a peony flower crown was the perfect addition to their "wedding party," along with a few other precious little ones. 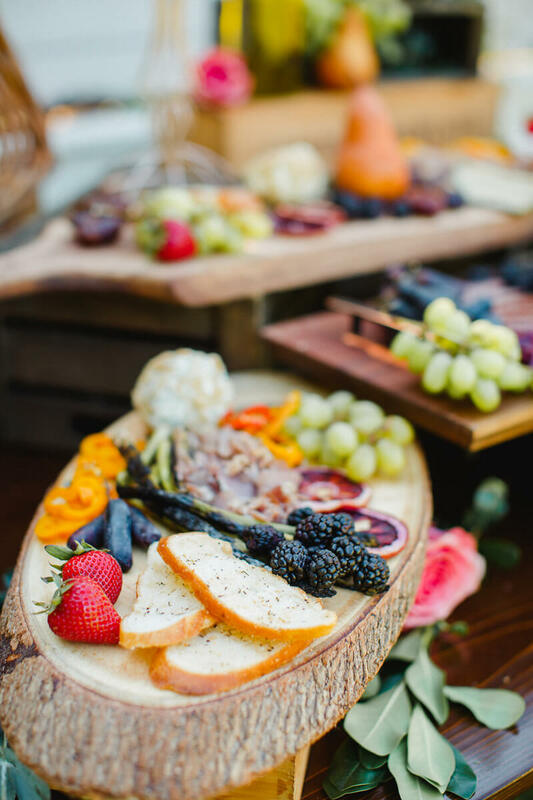 We paired an expertly styled cheese and charcuterie table from Roots Catering with a colorful cocktail display and macrame drinks sign. A nearly naked cake from Wow Factor Cakes adorned with colorful peonies was the sweet finale. 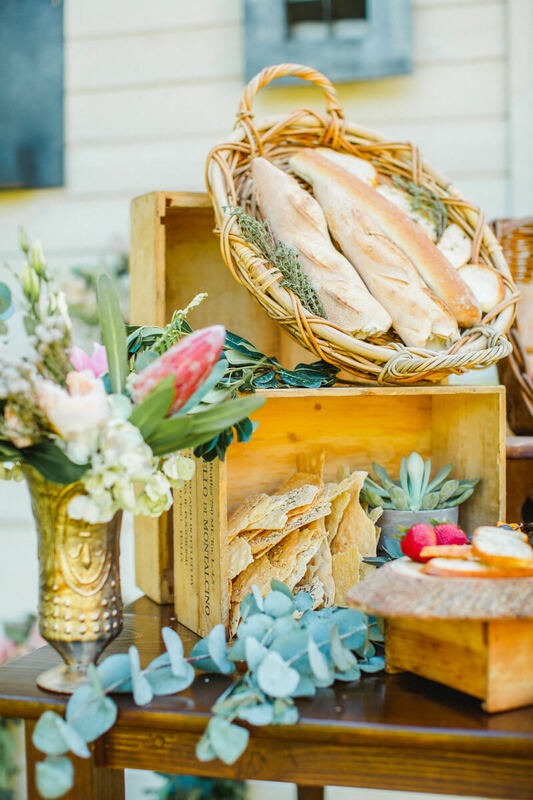 This shoot has everything - COLOR, stunning florals, an amazing food display and most importantly, a happy couple!